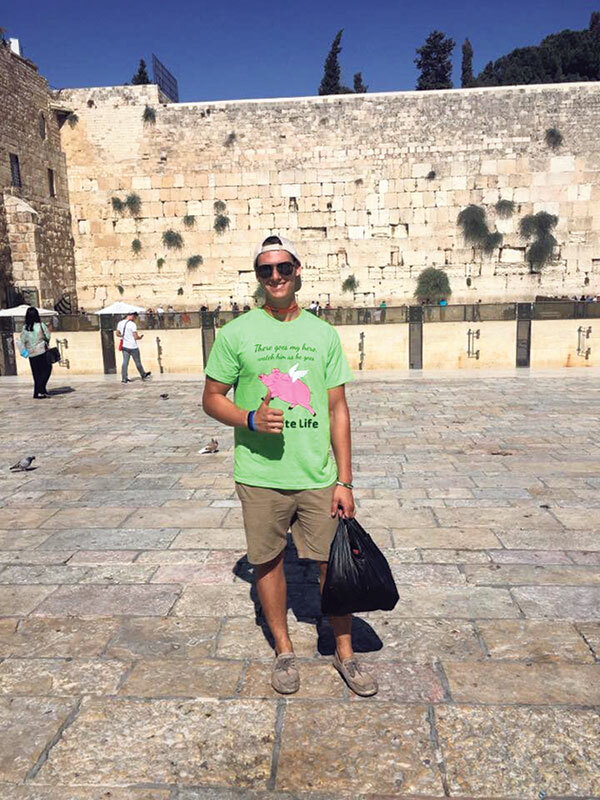 Alex Babcock wearing his Team Luke T-shirt at the Kotel in Jerusalem. 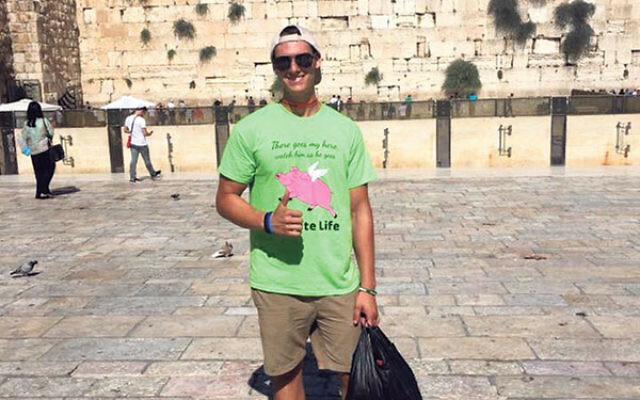 As Alex Babcock, 21, of Howell was visiting the Kotel in Jerusalem Aug. 21 as a member of a Birthright Israel trip, he was also a member of Team Luke, participating — albeit at a distance — in the NJ Sharing Network’s annual 5K Celebration of Life event taking place at Brookdale Community College in Lincroft to benefit efforts to promote organ donation. The team was named in honor of Luke Bautista of Wall, who gave the gift of life to five people. Luke died May 6, just five weeks after his 15th birthday. Luke, the son of Alex’s father’s fiance, Carla, is best remembered as someone who was always happy and cared deeply about others, which is what led the Bautista family to agree to donate his organs. Luke’s heart went to a 14-year-old boy; his liver to a 55-year-old man; his kidneys to two men, 30 and 27 years old; and his pancreas was transplanted into a 36-year-old woman. His tissues were also donated and have improved the quality of life of many others. The Celebration of Life event pays tribute to those whose organs were donated, celebrates those who have received a transplant, offers hope to those waiting for a transplant, and remembers those who passed away while waiting for the gift of life, according to the network, which is based in Union County. Team Luke more than accomplished these aims; hoping to recruit 100 members, it ended up with 190 on board, and the team has raised $81,162 to date, surpassing its fund-raising goal of $25,000 by more than $56,000.